New this season, this softshell jacket is designed for mountaineering and fast climbs. The K Shield jacket will help you increase your performance in difficult terrain with Millet Alpine Fit, which reduces bulk while allowing enough space and freedom of movement and extensibility of the material that is also Lightweight, windproof and resistant to water penetration. The Element Shield Matrix 3L material is made of a particularly lightweight and comfortable double-sided structure, perfect for summer activities in the mountains. 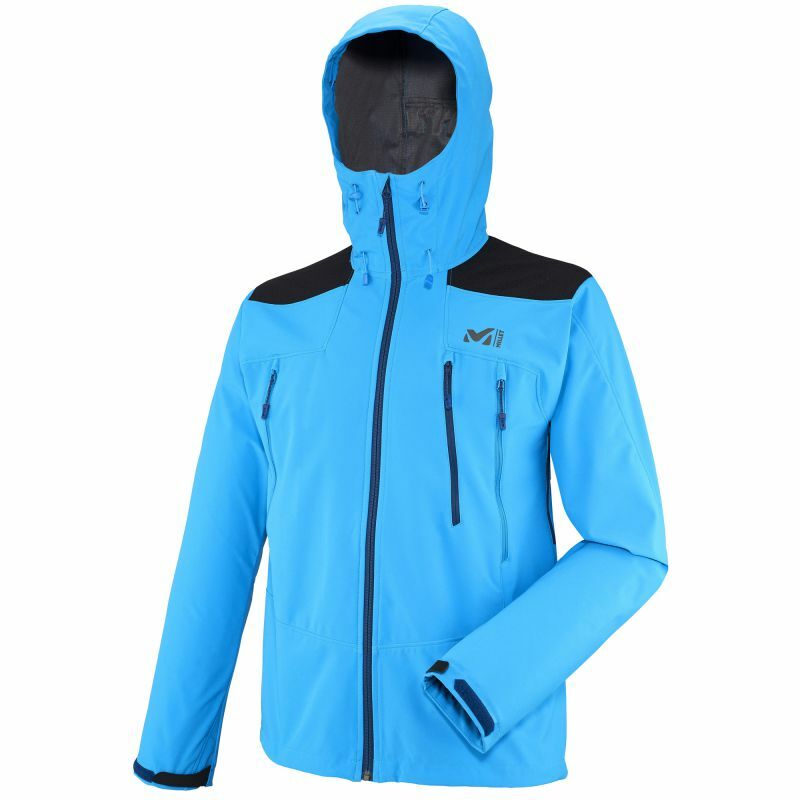 Designed first to provide waterproof protection, it ensures good breathability to stay dry from inside the jacket, as well as outdoors. The 3 layer structure which includes a membrane ensures the comfort of each during the action. The shoulders are reinforced with a sturdy Toughtex material that gives more resistance to the jacket at this location exposed to tensions. The breast pockets are positioned for easy access and compatibility with wearing the backpack. The bottom of the garment and the cuffs fit perfectly and the ergonomic hood is adjustable for complete protection without restricting movement or visibility. The K Shield jacket is ideal for summer adventures in the mountains.